In Part I of this series, I reviewed the biology of Neu5gc (“Neu5gc, Red Meat, and Human Disease: Part I,” January 14, 2015). 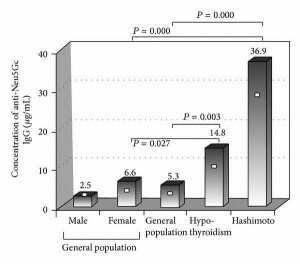 Now it’s time for Part II: a look at whether mammalian meats (beef, lamb, pork, dairy) may help provoke Hashimoto’s hypothyroidism. 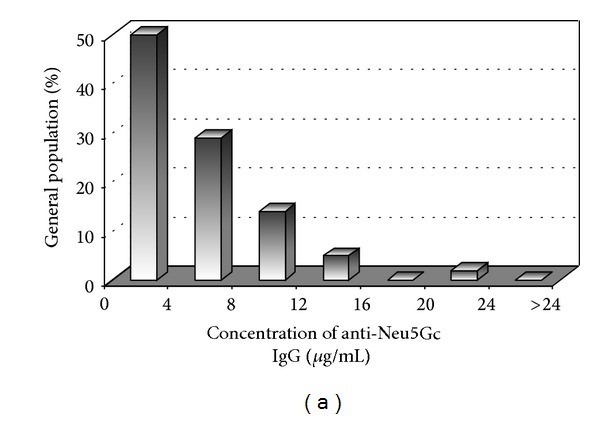 Neu5gc is abundant in nearly all mammals, but is absent in humans, ferrets, and new world monkeys. Neu5gc is a sialic acid. 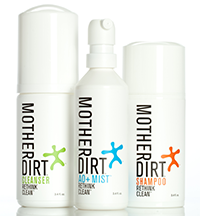 It provides the terminal end of the carbohydrates which coat cells and glycoproteins. Cells need to be coated in these acids, because in water acids become ions and give the cells a charge, which repels other cells. When sialic acids are bound by antibodies, the charge is lost, and cells clump or aggregate. In fact, clumping of cells after pig serum was injected into humans was the first sign that humans form antibodies to pig cells. The main antigens in pig cells are “alpha-gal” and Neu5gc. Although humans cannot manufacture Neu5gc due to a mutation that occurred 3 million years ago, we retain the ability to utilize it. So Neu5gc from food can appear on the surface of human cells. To generate a broad-spectrum immune response, the DNA of B cells is re-arranged to create novel combinations of segments on the light- and heavy-chain portions of antibodies. This enables the body to generate more than 10^12 different antibodies. To avoid generating antibodies to human antigens, any B cells that generate antibodies while still in bone marrow are destroyed. 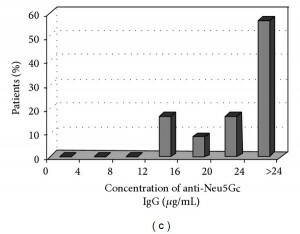 But Neu5gc from food doesn’t reach bone marrow, so there is nothing to stop the formation of white blood cells capable of generating antibodies to Neu5gc. So Neu5gc has the potential to accumulate in human cells, especially intestinal cells which are directly exposed to food; and we can form antibodies to Neu5gc, which then may react to human cells which have incorporated Neu5gc into their carbohydrate coat. One might think that this would be enough to generate autoimmunity, but more is needed. Although everyone has antibodies that can react to Neu5gc, the “preimmune repertoire” of antibodies binds to Neu5gc with very low affinity, and “low concentrations of anti-Neu5Gc antibodies do not seem to have any effect on Neu5Gc containing cells.”  In order to make high affinity antibodies, B cells must be repeatedly stimulated by Neu5gc-containing antigens. So to generate autoimmunity against Neu5gc incorporated in human cells, B cells must first be triggered to form high-affinity anti-Neu5gc antibodies by meeting bacterial pathogens who have incorporated Neu5gc into their cell walls. This can happen because some bacteria do incorporate sialic acids from their local environment into their cell walls; and thus gut bacteria will incorporate Neu5Gc from food into cell walls. Among the pathogens known to use host sialic acids to shield themselves from human immunity is Neisseria gonorrhoeae, the pathogen that causes gonorrhea. It is possible that gonorrhea infection could lead to autoimmunity through this mechanism. To date, the published research on this topic has focused on the possibility of pathogens incorporating Neu5Ac, the primary human sialic acid, from human cells into their cell walls, and subsequently triggering autoimmunity against Neu5Ac. There has been little study of the possibility that gut pathogens will incorporate Neu5Gc from food into their cell walls, potentially triggering autoimmunity against Neu5Gc incorporated in human cells. Yet a recent study  comparing the levels of Neu5Gc antibodies in human blood against the prevalence of Hashimoto’s hypothyroidism suggests that this may be a significant pathway for autoimmunity. This is Figure 1. Patients with Hashimoto’s have, on average, 7-fold higher anti-Neu5Gc antibody levels than the general population. Patients with hypothyroidism, some of whom have Hashimoto’s and some don’t, have an intermediate level of anti-Neu5Gc antibodies. Few healthy patients had more than 16 mcg/mL of anti-Neu5Gc antibodies, and none had more than 24 mcg/mL. Only 3% of Hashi’s patients had less than 12 mcg/mL of anti-Neu5Gc antibodies, and 57% had more than 24 mcg/mL. This is a very good separation of the two groups. It looks like if you can generate large numbers of anti-Neu5Gc antibodies, then you are almost certain to get Hashimoto’s hypothyroidism. About 50% (in this study, 47.9%) of hypothyroidism cases are autoimmune in origin. The 52.1% of hypothyroid patients who didn’t have Hashimoto’s generally had low levels of anti-Neu5Gc antibodies, similar to the healthy controls. This observation strengthens the association between anti-Neu5Gc antibodies and autoimmune hypothyroidism. It looks like anti-Neu5Gc antibodies are strongly linked to autoimmunity. Adding plausibility, “both autoantigens related to Hashimoto disease [thyroid peroxidase and/or thyroglobulin] are glycoproteins and N-linked carbohydrates containing sialic acids have been detected in both molecules.”  So it’s possible Neu5Gc is incorporated directly into thyroid peroxidase and thyroglobulin. They also tested for anti-Neu5Gc antibodies in rheumatoid arthritis patients, but found no connection there. Rheumatoid arthritis patients do not have elevated levels of anti-Neu5Gc antibodies. Their paper has not yet been cited by any other papers. It looks like the investigation of Neu5Gc-mediated autoimmunity is at its very beginnings. I read with interest your post about Neu5Gc. I am anxious to read Part 2 which I understand is coming. Meanwhile I have been doing a little research on the subject. I suffered badly with childhood asthma, and I still get a sort of asthmatic tightness of my breathing once in a while. In the past few weeks have I realized this is on days after I eat cheese and/or beef. This has ceased upon my cutting out red meat and dairy this past week. Here’s another thought re: Neu5Gc…which I cannot prove but think is likely. When an upsurge of titer of anti-Neu5Gc antibodies float in body fluids, they have opportunity cause inflammatory reaction. One researcher postulated this mechanism for hemolytic uremic syndrome. My own experience is I develop a groin ‘heat rash’ type reaction and irritable bladder a day or so after eating too much cheese and red meat. Jim’s personal experiences add further evidence that Neu5Gc-driven inflammation and autoimmunity is a real phenomenon. The paper linking Neu5Gc to hemolytic uremic syndrome is . An infection in the gut by bacterial pathogens that acquire Neu5Gc from food (primarily beef and pork) and incorporate it into their cell walls. A leaky gut that (a) allows Neu5Gc from food to enter the body for subsequent incorporation into human cells, such as thyroid cells, and (b) creates either a systemic invasion of Neu5Gc-bearing gut pathogens, or a “metabolic endotoxemia” in which Neu5Gc-bearing cell wall components of gut bacteria enter the body, triggering formation of high-affinity anti-Neu5Gc antibodies. Significant consumption of beef and pork, providing the Neu5Gc to drive the autoimmune process. Reducing dietary Neu5Gc by replacing beef, dairy, lamb, and pork with seafood and bird meats. Neu5Gc-mediated autoimmunity does not play a role in rheumatoid arthritis, but it may play a role in other autoimmune diseases. The most likely organ to be affected is the gut, which is directly exposed to food; endothelial cells, which line blood vessel walls, and immune cells which circulate in blood, as blood is the next location after the gut exposed to food molecules entering the body; and lastly organs which interact closely with the blood, such as the thyroid. Hemolytic uremic syndrome is a condition of endothelial cell dysfunction. 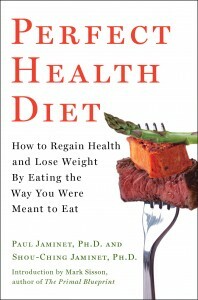 So: it looks like reduction of mammalian meats, replacing them with seafood and bird meats, may be a prudent part of a “Hashimoto’s protocol.” In autoimmune disorders affecting the gut, blood vessels, or immune cells, it may be worth trying a 30-day elimination of mammalian meats. We have a few spots remaining for the May 2-9 Perfect Health Retreat, and will soon be taking reservations for the October retreat, either October 3-10 or 10-17 (or both). 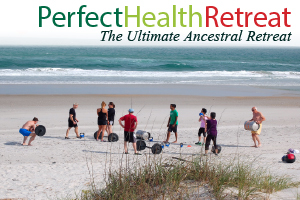 If you are interested, visit here for more info or email me at paul@perfecthealthretreat.com. “Generation of Antibody Diversity,” in Alberts B, Johnson A, Lewis J, et al., Molecular Biology of the Cell, 4th edition, New York: Garland Science; 2002, http://www.ncbi.nlm.nih.gov/books/NBK26860/. Eleftheriou P et al. Prevalence of anti-Neu5Gc antibodies in patients with hypothyroidism. Biomed Res Int. 2014;2014:963230. http://pmid.us/25003133. Löfling JC et al. A dietary non-human sialic acid may facilitate hemolytic-uremic syndrome. Kidney Int. 2009 Jul;76(2):140-4. http://pmid.us/19387473.